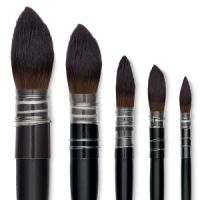 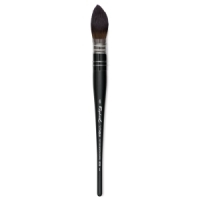 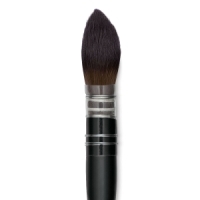 The unique synthetic fibers in the Raphaël Soft Aqua brush offer a fluid retention capacity equal to no other, holding twice as much color as conventional brushes. The wavy, undulating shape of the fibers creates spaces that hold water molecules — in contrast to conventional synthetic fibers, which are straight and slippery. 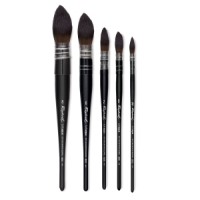 The Raphaël Soft Aqua brush is ideal for watercolors, ink, gouache, tempera, and diluted acrylics.